A new test can show how exercise is benefiting people with MS and other neurological conditions. The evaluation of muscle health in individuals with MS, spinal cord injuries and other severe nerve damage conditions is usually done with magnetic resonance imaging (MRI) and other expensive equipment. Researchers in the kinesiology department at the University of Georgia (UGA) College of Education developed a non-invasive test capable of measuring increases in muscle endurance. That is a muscle’s ability to exert force, consistently and repetitively, over a period of time after exercise. To measure muscle endurance, the researchers used an accelerometer in conjunction with a device that uses low-level electronic pulses to make muscles move. An accelerometer records acceleration in movement. McCully is head of UGA’s Exercise Muscle Physiology Laboratory at UGA. One focus of its research is developing non-invasive approaches to studying skeletal muscle metabolism, blood flow and oxygen utilization. Another is developing innovative ways to improve physical activity levels and exercise in people with chronic illnesses and injuries. Brad Willingham, a kinesiology doctoral student who helped to develop the test, said he has already seen impressive results in individuals with MS. His results have been recognized by the American College of Sports Medicine, which granted him the best doctoral poster award at a convention in February. Using a special anti-gravity treadmill, Willingham had patients exercise twice a week for eight weeks. Then he used the new test to evaluate the increase in patients’ muscle endurance after exercise. 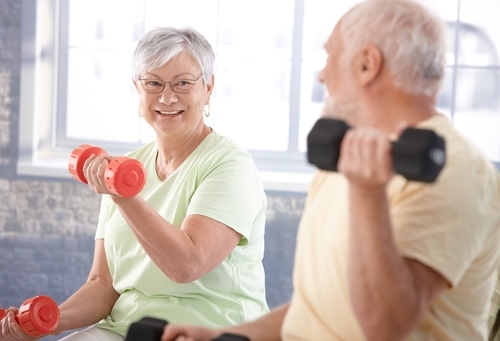 He found that exercise induced a remarkable increase in the patients’ muscle health. In collaboration with the Shepherd Center in Atlanta, the researchers sought to explore new strategies to keep those living with debilitating nerve damage conditions more active, no matter how serious their disease. McCully said the test can help patients remain independent longer.